Sometimes content success can be difficult to come by. It’s not a magic bullet and not everyone does it well. 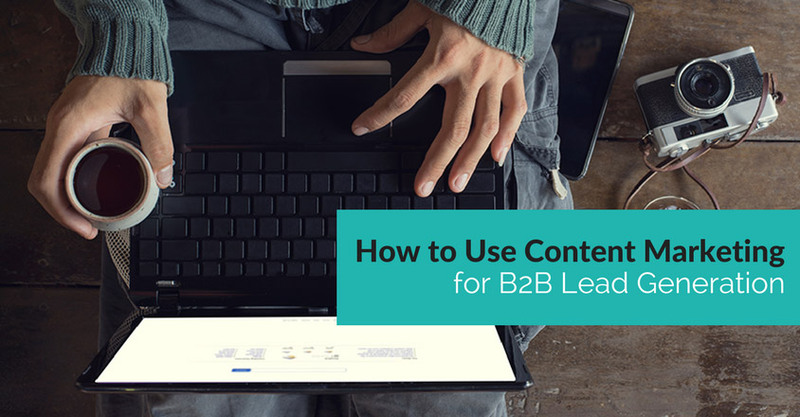 Use these guidelines to help plan your B2B content marketing strategy and you’ll have leads flowing in no time. ● What are your specific goals and objectives? ● Who is your audience? ● What does your audience know? What does it need to know? What are its goals? ● What do you want your audience to do? How can you encourage the actions you want? ● How do you differ from your competition? How can you use your content to demonstrate the differences? You have compelling information to share, but just waiting until you’re asked for it isn’t a very effective strategy. Instead, you need to learn what your market needs and wants, what it finds interesting, what it finds boring, and what its burning questions are. Once you have answers to these questions, write compelling content that speaks to your audience’s needs and wants, stimulates its interest, and answers its most burning questions. While you’re at it, be careful with what you share. Avoid content that is overly promotional or focuses on too much on your business. Instead, focus on providing information about the industry and talking about your audience. Now, this doesn’t mean you can never include promotional content. There is a time and a place for promotional writing. The important thing is to stroke your audience first, make sure you have its attention, and develop a strong rapport. Then, you can insert more promotional content. But keep it to a minimum, so you don’t lose the audience you’ve worked so hard to develop. 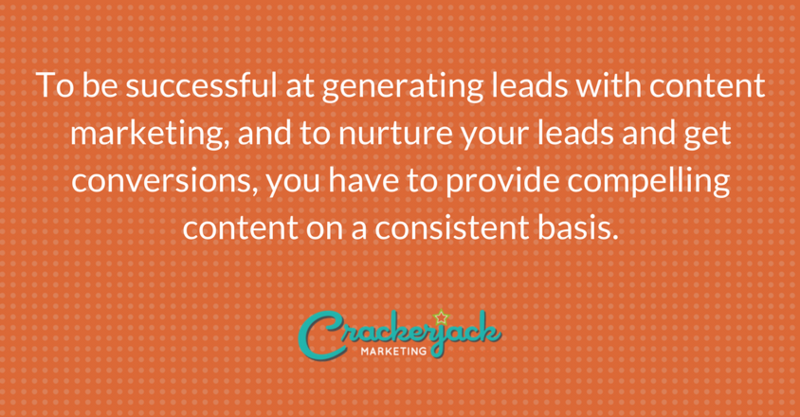 Think about the content that will best serve your audience at each stage of the lead cycle. At the very beginning, informational blogs, e-Books, white papers, websites, etc. make a good fit. Your content should, of course, inform, instruct, interest, and problem-solve. Later, however, after you’ve gotten your prospects interested in engaging with you, you can present your products and services in a more direct way, focusing on providing the solutions they need and adding demos and trials into the mix. Don’t forget that you can deliver content throughout your lead cycle via email, newsletters, videos, and microsites as well. Once you’ve created compelling content for your audience, don’t stop there. 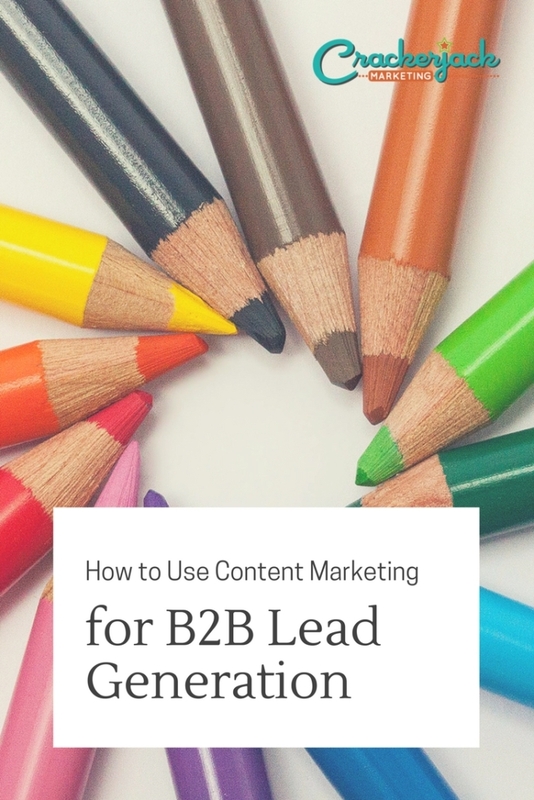 To be successful at generating leads with content marketing, and to nurture your leads and get conversions, you have to provide compelling content on a consistent basis. Let your prospects know when they can expect to hear from you next and make them comfortable by delivering quality content on a regular basis. It’s not enough just to put great content on your website. Create a form which is ready to collect data from the leads you generate via content marketing. Make your lead generation form easy to find, complete, and submit. Request just enough information to get started with the lead, as many prospects will feel put off or offended if you ask too much right off the bat. You can always collect more information later. Often, a name and email address is enough to collect at first, and you can easily obtain that by offering a free downloadable report and requesting an email address to which to send the link. Now go forth and create, and capture those leads! And please check back with us and leave a comment to let us know how you’re doing.